There are many things to do in Cuero, Texas, that are perfect for a weekend getaway or extended vacation to truly experience quintessential small town living. If you don’t have one, rent a convertible or Jeep Wrangler for a beautiful, breezy drive through the "Wildflower Capital of Texas" in the springtime, when you’ll see an abundance of brilliant Texas wildflowers. It’s just gorgeous here, and between that and the Cuero Mural Tour, you’ll find many roadside photo ops that will make your Instagram followers cringe with jealousy. Pack your binoculars because two nature trails intersect in Cuero: the Guadalupe Valley Paddling Trail and the Texas Coastal Birding Trail. Cuero is also known as the “Turkey Capital of the World” and there’s no better way to see why than by attending the Cuero Turkeyfest in October. Cuero has plenty to offer, and you’ll find it all about 90 miles southeast of San Antonio along the Guadalupe River. Check out the list of things to do in Cuero for help on planning your iconic Texas experience. In the springtime, Cuero and DeWitt County look like a painted postcard with fields of bright yellows, flourishing fuchsias, and striking oranges.The Lone Star State is known for its abundance of wildflowers that you can see all across Texas, but DeWitt County has a remarkably high concentration and wide variety of blooms that makes it stand out. 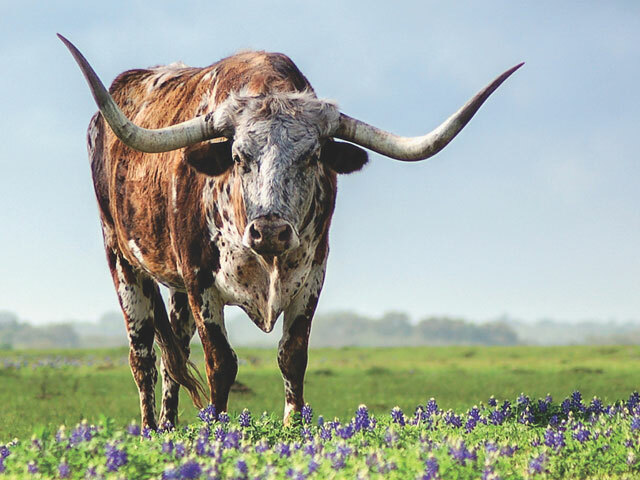 In fact, the county has more than 1,000 different species that blossom at various times of the year, which is part of the reason why the 1999 Texas Legislature designated DeWitt County as the "Wildflower Capital of Texas." Cuero hosts wildflower tours from March through May and celebrates the official “Wildflower Month in DeWitt County” each April. Grab a color-coded wildflower route map from the Cuero Chamber of Commerce and hit the road for some amazing views. For a slower of a pace, bring your bike and tour the routes while you get a little exercise. During wildflower season, you can participate in a cycling race and 5K run/walk in Cuero and view exhibits of photographs at the DeWitt County Historical Museum, Cuero Heritage Museum, and the Cuero Public Library. Cuero’s long love affair with turkeys began when the first dressing house was opened in 1908 and DeWitt County farmers began raising these big birds on a larger scale. Each fall, the farmers would have to herd their turkeys through the city streets to the packing house, drawing locals and visitors to watch the scene. In 1912, the Chamber of Commerce named this annual spectacle the “Turkey Trot” and it began attracting journalists, cameramen, and spectators from far and wide. This event has evolved into what we now known as Cuero Turkeyfest, a huge three-day festival in Cuero. At Cuero Turkeyfest each October, you’ll be able to cheer on Ruby Begonia (the famed turkey of Cuero) as she races Paycheck (a turkey from Worthington, Minnesota) as they vie for the title of “World’s Fastest Turkey” in the annual Great Gobbler Gallop. Be sure to pack your dancing boots because there’s always an impressive lineup of bands at Cuero Turkeyfest. When you need a break from swingin’ your hips, shop the arts and crafts market, sample fresh biscuits and cobbler at the Dutch oven and camp cooking demonstrations, and participate in the jalapeno-eating contest (if you dare). Kick off Saturday morning with the Turkey Trot 5K and take on the Guadalupe River in the afternoon canoe race. With lots of fun for the kids like a turkey egg hunt, a carnival, and a parade, the Cuero Turkeyfest is one of the best things to do in Cuero and fun for the entire family. Resting cowboys, puffed-up turkeys, and Little League baseball players are frozen in time in colorful murals throughout Cuero. For a town of its size, Cuero has a lot of murals, many within walking distance of one another. Take your camera and follow the Cuero Mural Tour to some of the best selfie spots in town! Check out the larger-than-life soda fountain scene from the 60’s on the side of KN Root Beer Drive In. Get an espresso and kolaches at Main Street Kaffee Haus & Deli and view the mural of turkeys — including the famous Ruby Begonia — enjoying their own cup of Joe. Don’t miss the mural inside the foyer at the Daule Education Facility featuring all things synonymous with Cuero: wildflowers, turkeys, history, and cattle. 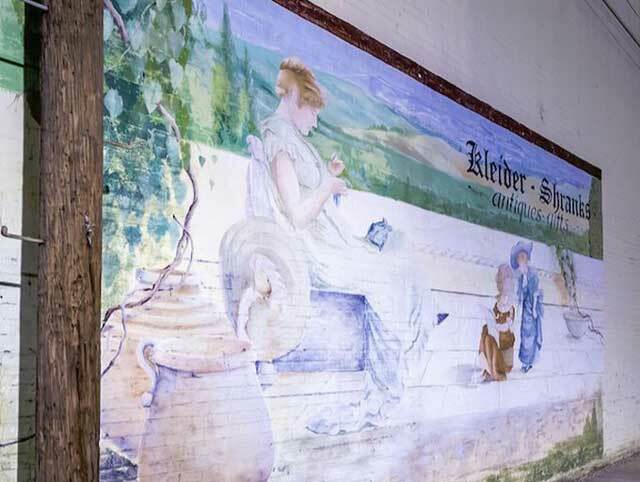 Meanwhile, the mural along the back of Reuss Pharmacy, the oldest continually-run drugstore in Texas, has a scene that includes antique medicine bottles and a pharmacist preparing medicine. There are more than 10 murals in Cuero, many painted by Rafael Acosta, Jr., an artist who specializes in interior and exterior decorative and realism art. The Guadalupe Loop of the Texas Coastal Birding Trail passes through Cuero, and the rich grasses and thick brush lands of DeWitt County make this a prime location for birders. Wintering sparrows love the area’s grasslands and many South Texas thorn scrub species like the least grebe, olive sparrow, and pauraque have made appearances here. Cuero Municipal Park is a premier spot for birding in Cuero, with an 8.5-acre lake and creek that runs into the Guadalupe River. Speaking of which, another great way to spot some Texas birds is to rent a canoe and paddle down the Guadalupe, where you just might spot herons, kingfishers, egrets, and even a bald eagle. Birders have also spotted buntings, woodpeckers, kittiwakes, goshawks, and eagles in Cuero and during migration season (in the fall and spring) a group gathers each Sunday for a birding adventure. If you find yourself in Cuero during birding season, make sure to keep your eyes open. After all, you just might see something remarkable. Flowing from Kerrville through towns like New Braunfels and Gonzales, the tranquil Guadalupe River is one of the most popular rivers in Texas for swimming, kayaking, and fishing. The section that flows through DeWitt County is just as pristine, with its calm aquamarine waters flanked by large oak trees. 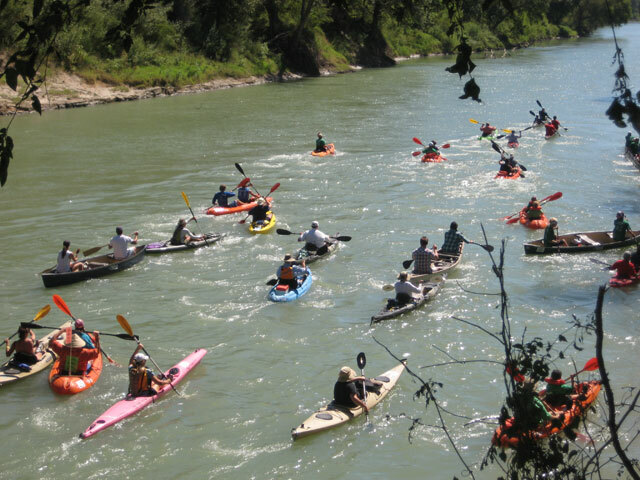 Pack an ice chest with some Texas Dr Peppers and fried shrimp po’boys from Eagleford Restaurant and head out for fun in the sun along the Guadalupe Valley Paddling Trail. Bring your own canoe or rent a kayak or stand up paddle boards at Gerry’s Kayaks in nearby Victoria. There are three water access points to the paddling trail around Cuero. If you’re feeling mighty, take on the full 13.8-mile trail, or plan ahead and do just a small section of it. You can even try your luck at snagging a catfish, bass, or sunfish, so long as you have your Texas fishing license. In addition to the great birding along this trail, you might also see raccoons, deer, squirrels, and feral hogs. Keep in mind most of the land surrounding the Guadalupe River is private property, so you’ll need to stay in the water in between public land access points. Truly, this is a gem in Texas—one you don’t want to miss when you visit Cuero.